Your grandchildren will be proud to tell everyone that their grandfather is a fireman! 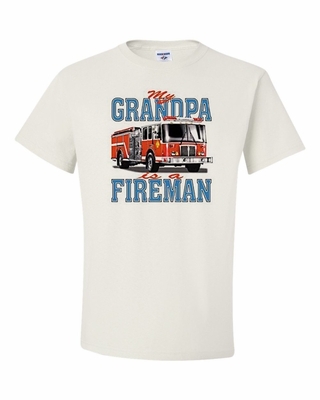 We offer a wide variety of colors in our "My Grandpa is a Fireman" t-shirts and sweatshirts. Team it up with a coffee mug, perfect for your morning beverage. Remember� you found the My Grandpa is a Fireman Shirts at TShirtHub.com, where high quality came at a low price.